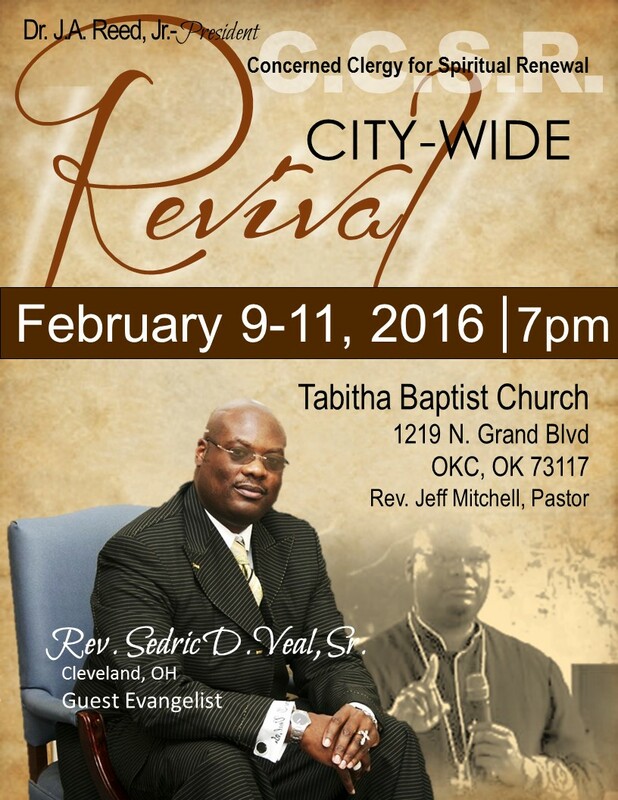 Tabitha Baptist Church will host the Concerned Clergy for Spiritual Renewal City-wide Revival, Monday - Wednesday nights, February 11 - 13. Revival service will begin at 7:00 p.m. nightly. The evangelist will be Rev. Dr. Sedric D. Veal, Sr., Pastor of Temple Baptist Church, East Cleveland, OH. There will be no services at Fairview that night so all members can be in attendance at the revival at Tabitha. Dr. J. 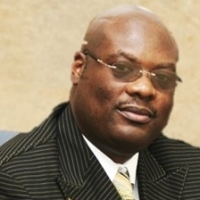 A. Reed, Jr. serves as President of the CCSR. Name: Dr. John A. Reed, Jr.